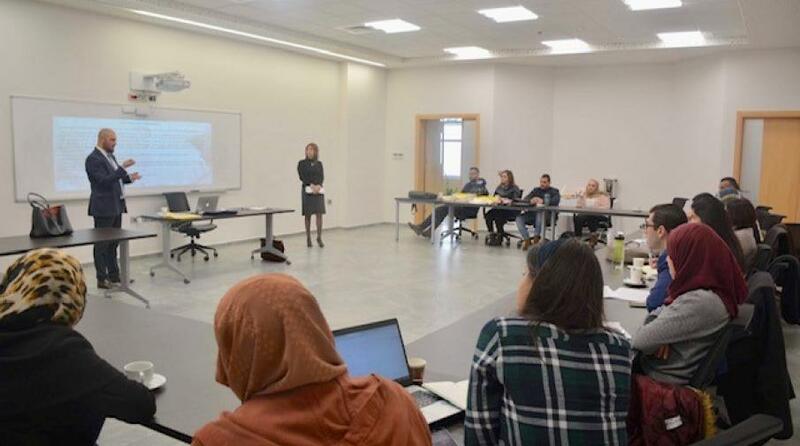 The Faculty of Graduate Studies at the University Campus in Ramallah organized a workshop about the Cyprus conflict and the Cyprus peace process hosting the representative of the Republic of Cyprus Mr. Savas Vladimiro, as part of the "Peace Process Comparison" plan course which is taught by Dr. Dalal Erekat. Where the course contains study case for peace processes in Cyprus and Northern Ireland reaching to the Palestinian situation. Dr. Dalal gave a brief overview of the course and focused on the methods of conflict analysis and how to put an outline to understand conflicts in different aspects, which includes theoretically several factors, reasons, approaches and directions. The representative of Cyprus skillfully applied the theory to reality by performing a presentation about Cyprus, He began with a historical view of the conflict and then the peace process and its stages. The workshop also focused the triangular relations between the countries and the gas fields in the Mediterranean region and the need of diplomatic work in partnership to serve the interests of the countries of the region, here is an invitation to Palestine to activate its diplomatic role to obtain its rights in an economic zone dedicated according to the laws of the international seas. 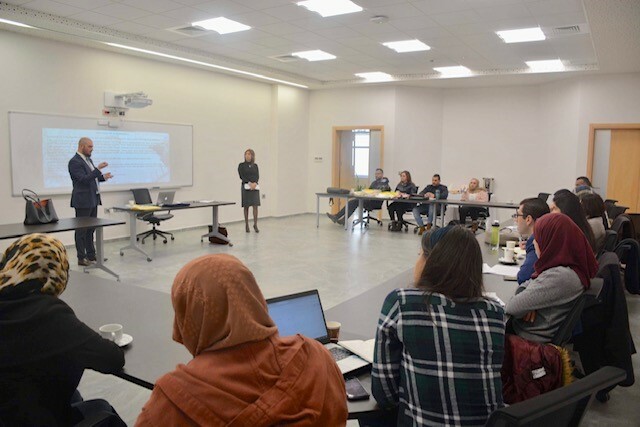 The Consul answered question with a scientific discussion to enrich the knowledge of researchers and graduate students in conflict resolution program. The University Organizes a Workshop Entitled "the National Archive Between Reality and the Future"